If you recently switched to the shiny new Outlook.com from Hotmail.com, you may be getting used to the new super-clean UI and navigation. 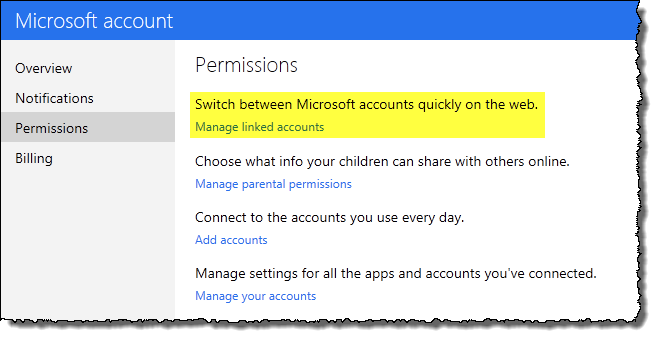 One thing I liked with Hotmail.com was the ability to link accounts, so you can easily switch from one Hotmail accounts to the other. I thought they had removed this from the new outlook.com, but eventually found it buried under settings. 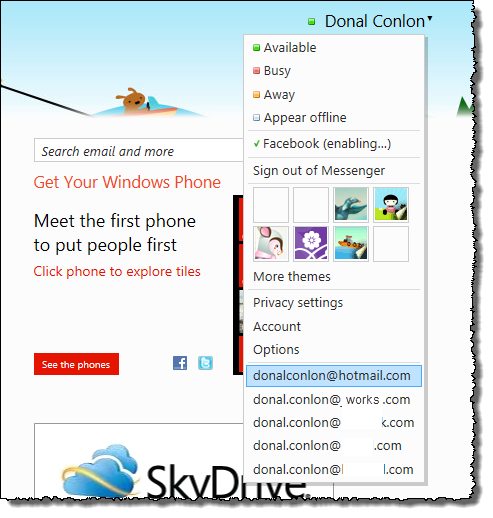 Here you can add other hotmail/live/outlook accounts.